St. Croix is the largest island within the United States Virgin Islands, home to a population of more than 50,000 residents, primarily concentrated within the major cities of Frederiksted and Christiansted. Following the 1916 acquisition of the Virgin Islands by the United States, the island's inhabitants were granted United States citizenship in 1927. Today, the island is known for its tourism and its rum distilling industry, home to important distillery plants for the Cruzan and Captain Morgan rum brands. Buck Island, officially referred to as Buck Island Reef National Monument, is a 176-acre uninhabited island located approximately 1.5 miles off the coast of St. Croix. 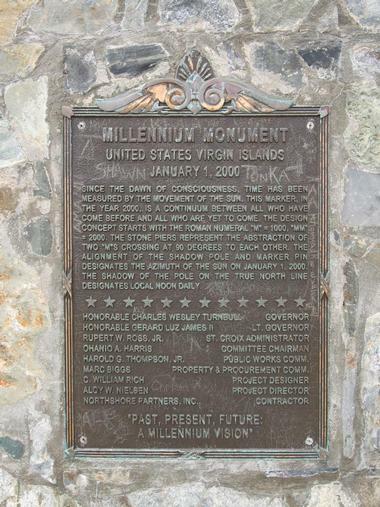 The monument was originally established in 1961 to preserve the island's natural resources and ecosystems, including one of the few remaining nesting habitats for brown pelicans and least terns. 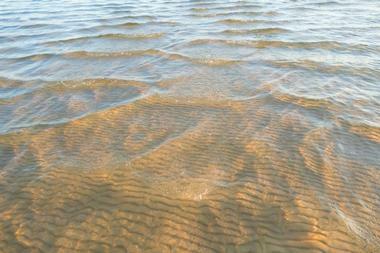 It was significantly expanded in 2001 to include more than 18,000 acres of underwater lands. More than 50,000 annual visitors attend the monument each year, which is home to one of the United States' only underwater snorkeling trails. A number of pristine visitor beaches are maintained throughout the monument, including the western Turtle Beach, which has been named as one of the world's most beautiful beachfronts by National Geographic. Fort Frederik, also referred to as Frederiksfort, was originally constructed between 1752 and 1760 by Denmark and Norway to protect the region's colonial economic interests from pirate attacks. The fort is best known as the site of the first foreign salute to the newly-formed United States of America in 1776. Today, it is listed on the National Register of Historic Places and is a National Historic Landmark, open to the public for guided and self-guided tours. A history museum and art gallery are offered on site at the fort, open Mondays through Saturdays throughout the morning and afternoon hours for a nominal fee. 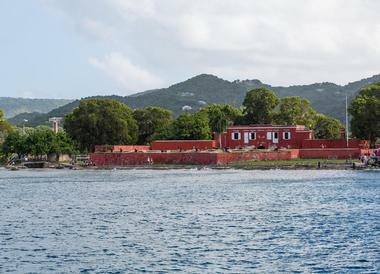 Christiansted National Historic Site is a United States historic site that preserves the history and development of the Virgin Islands during the colonial period of the 18th and 19th centuries. The site was originally established in 1952 and is listed on the National Register of Historic Places, overseen by the National Park Service. 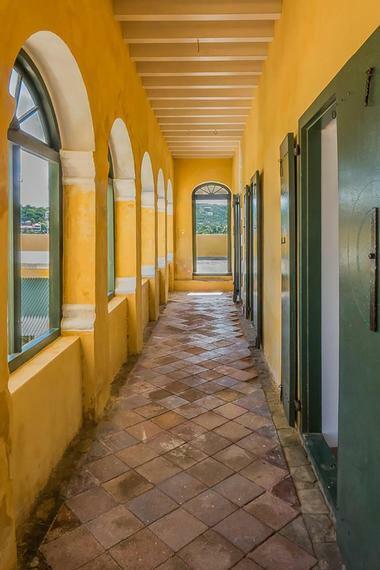 It preserves six important historic structures within the city of Christiansted, which served as the capital city of the Dutch West Indies throughout the colonial period. Sites include Fort Christiansværn, the former warehouse of the Danish West India and Guinea Company, and several former government buildings. Visitors can enjoy a self-guided tour of the fort, which showcases exhibits of artifacts related to the region's indigenous people and European settlers. 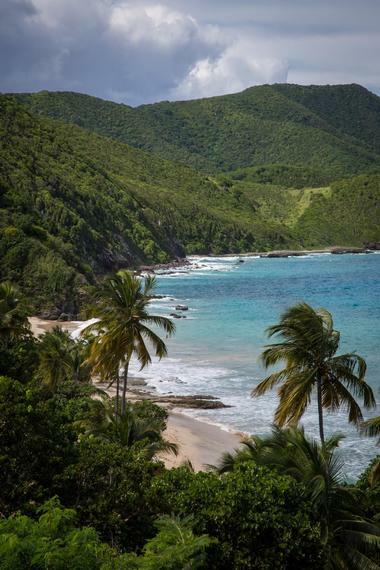 Sandy Point National Wildlife Refuge is a two-mile-long wildlife refuge located along the southwestern coastline of St. Croix. 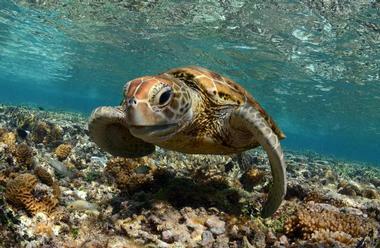 The refuge was originally established in 1984 and is maintained by the United States Fish and Wildlife Service as part of the Caribbean Islands National Wildlife Complex. Expansive stretches of sandy beaches are preserved as part of the refuge, forming an important nesting habitat for leatherback turtles. The refuge is also home to the Aklis Archaeological Site, a four-acre archaeological site that is listed on the National Register of Historic Places and showcases indigenous artifacts dating back to the year 400 A.D. Hiking, wildlife watching, and photography opportunities are available to visitors during the morning and afternoon hours on weekends, with closure exceptions during peak nesting season. St. George Village Botanical Garden is a 23-acre botanical garden and arboretum located on the grounds of the historic Estate St. George, a former 19th-century Danish sugarcane estate and plantation. 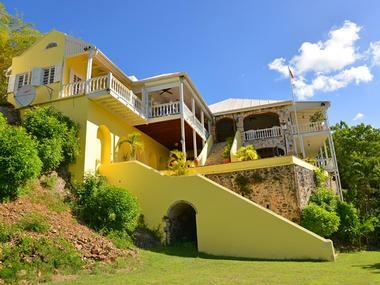 The estate was originally developed circa 1750 on the site of a former indigenous settlement dating back to 100 A.D. and operated for 200 years throughout the Virgin Islands. 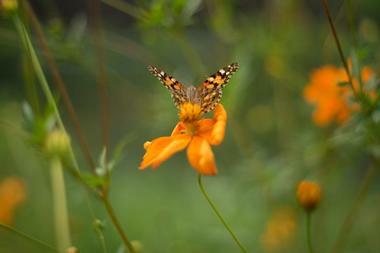 In 1972, portions of its land were donated to the St. Croix Garden Club. Today, the garden showcases more than 1,500 native and exotice plant species, including orchids, bromeliads, ferns, cacti, and succulents. At the site, the St. George Village Museum displays indigenous and colonial artifacts within a restored worker's cottage. A horticultural library is also maintained at the site, showcasing more than 500 volumes. 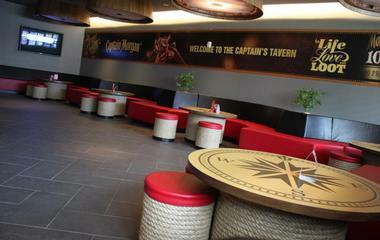 Captain Morgan Visitor Center is a museum and visitor center at the Diageo's Captain Morgan Distillery, the producers of world-renowned rum brand Captain Morgan. 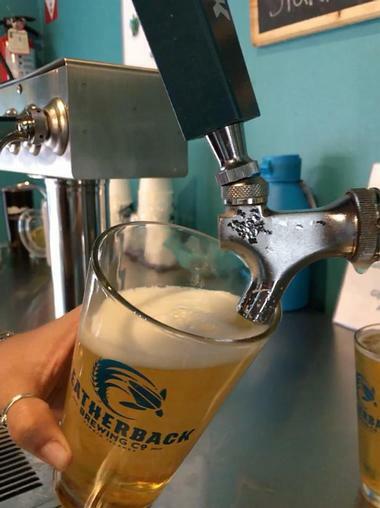 The center offers a one-hour visitor experience for tourists ages 18 and older, elaborating on the company's history and the history of the rum distilling industry in St. Croix. A short documentary film is shown during tours, with multisensory elements bringing the visitor experience to life. A guided tram tour also takes visitors around the company's distillery and barreling warehouse, elaborating on daily operations. After the tour, guests are invited to sample the company's award-winning spirits and cocktails at a tasting bar. Captain Morgan branded gifts and souvenirs are available at the center's retail store, including apparel, accessories, and barware. BushTribe Eco Adventures offer eco-friendly tours for participants of all ages and ability levels to sites throughout the St. Croix region. 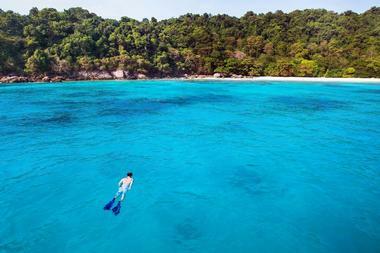 Snorkeling, kayaking, and hiking tours are offered, led by experienced tour guides who elaborate on the region's natural ecology and social history. All tours are designed to be as eco-friendly as possible in order to preserve the island's natural resources for future generations. 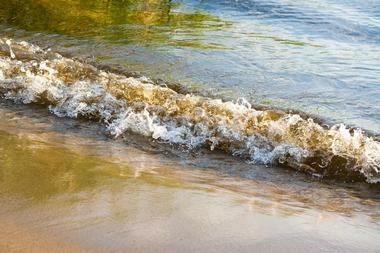 Tours are available to explore the 60-acre St. Croix East End Marine Park, established in 2003 to protect more than 17 miles of shoreline throughout the island. Off-the-beaten-path tours of other areas are also offered, including kayaking excursions to Salt River National Park and hikes to some of the island's most beautiful waterfalls. Captain Cook Charters is a charter fishing company owned and operated by avid fisherman and licensed tour guide Captain Colt Cook. All tours take place aboard Cook's custom-designed charter boat, which is a 26-foot Panga that was constructed in 2015 for the purposes of taking visitors on extreme offshore fishing excursions. The company specializes in excursions for catching pelagic fish in offshore waters, including mahi mahi, billfish, and wahoo. 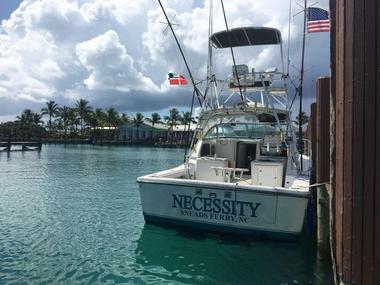 Deep sea excursions are also offered to catch species such as snapper, groupers, and swordfish, along with a variety of customizable inshore fishing excursions. 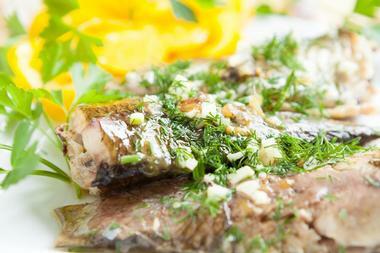 Professional handling, photography, and videography services are offered on excursions, allowing participants to document their catches and cook them upon returning to the mainland. 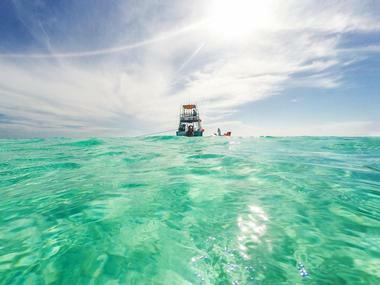 Caribbean Adventure Tours takes visitors on excursions through the Salt River Bay National Historical Park and Ecological Preserve, located along the island's central northern coastline and overseen by the National Park Service. The company is one of St. Croix's original kayak exploration tour companies and has been featured in international media such as The New York Times and The Discovery Channel. It offers a variety of kayaking tours throughout the region, including standard daytime tours that offer opportunities for birdwatching, sunbathing, swimming, and exploration of indigenous archaeological sites. A moonlight tour is also offered, giving visitors a chance to experience the preserve's unique bioluminescent bay, one of only seven such bays known to exist in the Caribbean Islands. Tours last approximately two hours, led by experienced tour guides. Caribbean Museum Center for The Arts was the vision of St. Croix resident and Department of Justice prosecutor Candia Atwater, who founded the organization in 1994 as a means of combating increasing youth violence on the island through the facilitation of arts education. 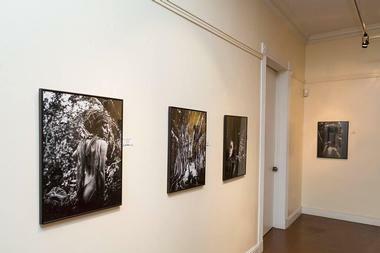 The organization, commonly referred to as CMCArts, is a multi-faceted arts education organization that is housed within a historic Frederiksted building, offering a variety of rotating gallery exhibitions created by student artists throughout the Caribbean. 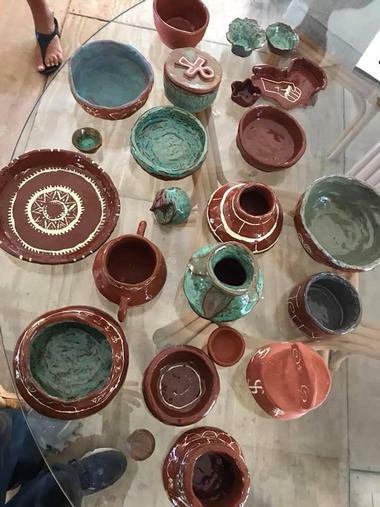 Workshops and classes are also offered in a variety of mediums, from watercolor and ceramics to theater and dance. An artist-in-residency program brings regional artists to the center to create and display works in a variety of mediums and work with area youth as artist instructors. CHANT is a heritage and walking tour company that offers tours elaborating on the cultural and social history of the St. Croix region. The company takes tourists to significant Crucian and European cultural sites throughout the island, including preserved historic plantations, churches, and forts. Popular tours include a Frederiksted historical walking tour, exploring sites such as Fort Frederik and St. Patrick's Church, and an Alexander Hamilton's Christiansted walking tour, which traces the sites where the American founding father lived and worked on the island during his youth. Some tours include performances by local musicians or reenactments by heritage performers, including performances of traditional Quelbe music by artists such as Bully and the Kafooners or the Guardians of Culture. Estate Mount Washington Plantation is a 12-acre preserved former Danish cotton and sugar plantation facility that was originally constructed circa 1750. During the height of its operation, the estate and plantation spanned more than 160 acres throughout the island, home to a great house, a number of guest and staff cottages, and a wide variety of sugar and cotton production equipment. The plantation estate was painstakingly restored in 1986 and returned to its 18th-century splendor, open to the public as a living history museum showcasing West Indies antiques and artifacts. Though the estate's grounds and some of its rooms are open to the public, visitors should note that it is privately-owned property and should respect owners' privacy. Fish Tales is a fishing tour service operating out of St. Croix, owned and operated by fisherman, entertainer, and ecologist Jeff Tareila. The company offers guided fishing excursions, with direct hotel and rental property pickups available. 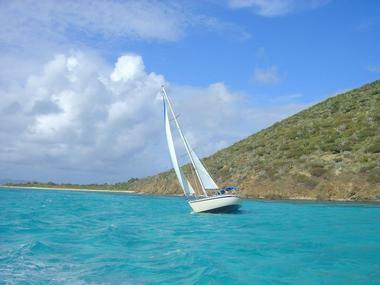 Excursions explore beach and mangrove locations throughout the island, with a focus on eastern and southern shore areas. Unlike many fishing charters in the region, trips are conducted from the shoreline, without the need to go out on boats. Spinning reel and fly fishing trips are available, fishing for snook, bonefish, tarpon, and horse-eyed jacks. All trips include rods and reels, along with bait, tackle, water shoes, and sunscreen for participants. Hook and Sun Charters	are a deep sea and offshore touring service owned and operated by St. Croix native Jens Hookanson, a certified yacht captain who brings more than 30 years of fishing and snorkeling experience to the company. Hookanson offers deep sea and offshore fishing excursions departing from Christiansted's harbor, accommodating up to six people per excursion. 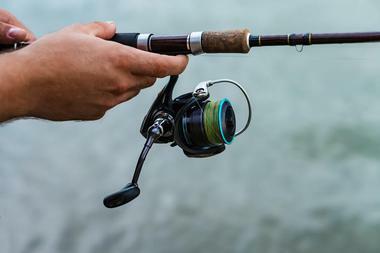 Novice and experienced anglers can catch mahi mahi, kingfish, tuna, marlin, and other types of pelagic fish throughout charters, which may be booked for a minimum of six hours. Inshore trips are available, teaching casting techniques to catch tarpon, mackerel, snapper, and barracudas. Day-excursion snorkeling charters are also available, led by experienced snorkeling guides and exploring more than five miles of barrier reefs surrounding the island. 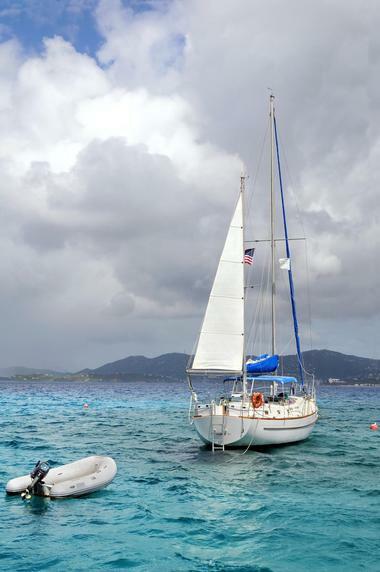 Lightheart Sailing and Charters is an award-winning sailing charter and instruction company based out of St. Croix's Green Cay Marina, offering a variety of partial and full-day sailing charter options for island tourists. The company's full-day sail excursions explore secluded barrier reef areas around the island, giving participants the chance to anchor for snorkeling opportunities. Morning, afternoon, and sunset partial-day sails are available, offering lunch or light snacks for participants. Sunset charters also explore Christiansted Harbor and offshore areas at dusk, with rum punch and light snacks served for participants. Custom-designed charters may be commissioned for small groups, and meditation sails may be booked, offering guided mindfulness meditations on the open waters. 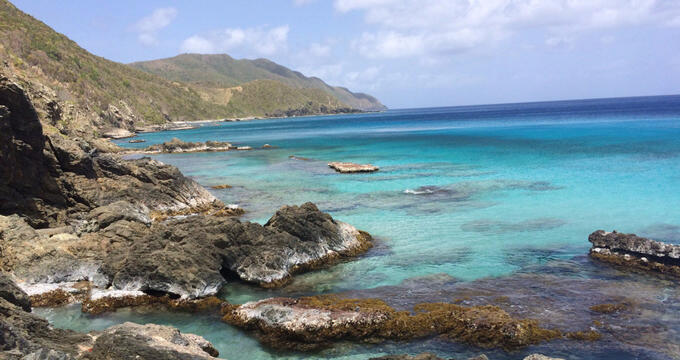 Lyric Sails is a sailing charter excursion company owned and operated by London native Emily Weston, who came to the St. Croix area to pursue a career in marine biology. Charters are offered aboard Weston's boat Jolly Mon, a Coast Guard-inspected vessel carrying up to 49 passengers which was originally constructed for the purposes of transatlantic racing in 1968. Unique excursion packages include private full-day sails which may be customized to meet groups' needs, along with pre-planned tours such as sunset sails, which offer live music performances, complimentary beverages, and light hors d'oeuvres. Wine and food sails offer six-course dinners catered by the company's award-winning chef, with five wines selected to pair with courses. Moonlight sails are also available, with live music and fire dancing opportunities. Virgin Kayak Tours was founded in 1997 as St. Croix's first Hobie Kayak dealership, owned and operated by husband and wife team Bryan and Jill Updyke, the founders of the St. Croix Kayak Club and the Caribbean Indigenous Arts and Crafts Museum. Since 2015, the company has been operating out of the Salt River Marina, offering a small museum collection of indigenous Taino artifacts and a gallery display of artifacts by Bryan. All kayak tours offered by the company focus on the region's indigenous and natural history, including the history and ecology of the island's bioluminescent bays. Half-day and nighttime tours are offered, including moonlit tours to see the region's bioluminescent bays. 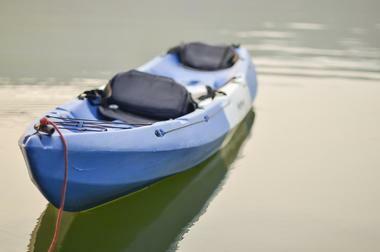 Private kayak rentals are also offered, along with personal kayak sales. 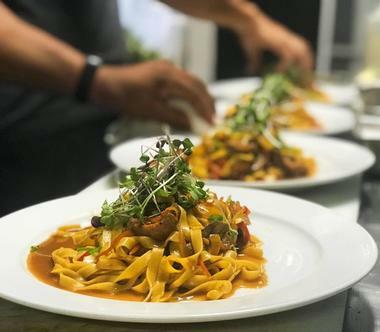 Zion Modern Kitchen was opened in 2015 by executive chef Michael Ross, offering back-to-basics gourmet cuisine crafted with locally-sourced seasonal ingredients, including sustainably-raised crops and locally-caught seafood. The restaurant is housed within the Quin House on Christensted's Company Street, which dates back to the mid-18th century and was previously owned by St. Croix Avis publisher John T. Quin. A full menu of upscale land and sea fare is served for dinner Tuesdays through Sundays, including crab cakes, braised pork belly, roasted half chickens, and fresh fish available at market price. Hand-mixed cocktails blend top-shelf liquors with fresh herbs and local ingredients, available at the restaurant's bar. Private dining reservations may also be made for groups of up to 40 diners. Adventures In Diving STX is a diving excursion tour company that offers pier, wall, shipwreck, and night dives for visitors of all ages and ability levels. The company was founded in 2015 by longtime friends and divers Andrea Hemphill and Mitchell Nestor, operating out of St. Croix's Frederiksted pier area. All tours are led by a team of certified dive instructors, including introductory NAUI Passport and SSI Try Scuba programming for novice divers. 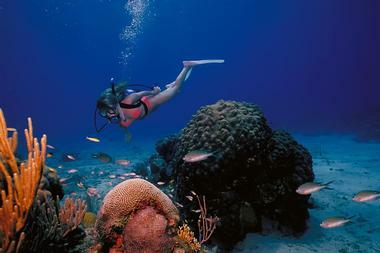 Snorkeling tours are also available for novice divers, with private and small group expeditions available. E-learning courses are offered through the company for NAUI certification, and a fully-stocked dive gear rental and grocery provisioning service are offered on site for all participants.